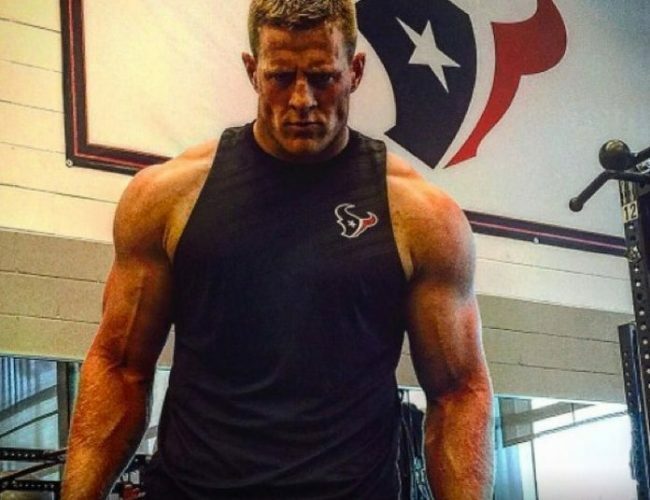 So, you are looking to get strong for football? If you put in the hard work you can do it. 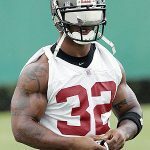 You need to be doing the right exercises to get the most bang for your buck and if you are training exclusively for football then many exercises will be a complete waste of your time. Luckily we are here to give you the top 5 exercises all football players should be doing to keep you ahead of the competition. First off, we should mention that this article is about American football and not soccer/futbol which can be easily confused when searching the internet. If you are looking for soccer exercises you can find them in our article covering the best exercises for soccer players so clicking on this article was not a complete waste of time for you either. We would also be foolish not to mention that these exercises are more for football players in general since training for specific positions can vary a bit. For example, an offensive lineman and a defensive cornerback will certainly have different train regimens but this will give you a good base and will be effective for most any position on the football field. With all that being said let’s get started. Hit these 5 exercises and get stronger, more explosive and more athletic. Cleans are a great exercise for most any sport. They build power, strength, and explosiveness all of which are essential to a football player. 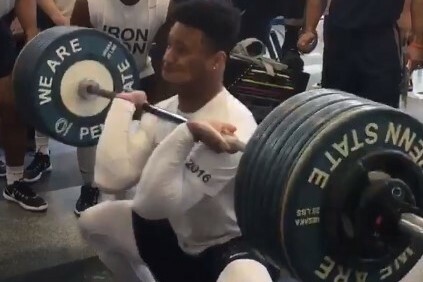 That’s probably why most every college football training program out there uses some form of cleans, usually either going with power cleans or the hang clean which is also very popular. This exercise also increases more motor unit activation. 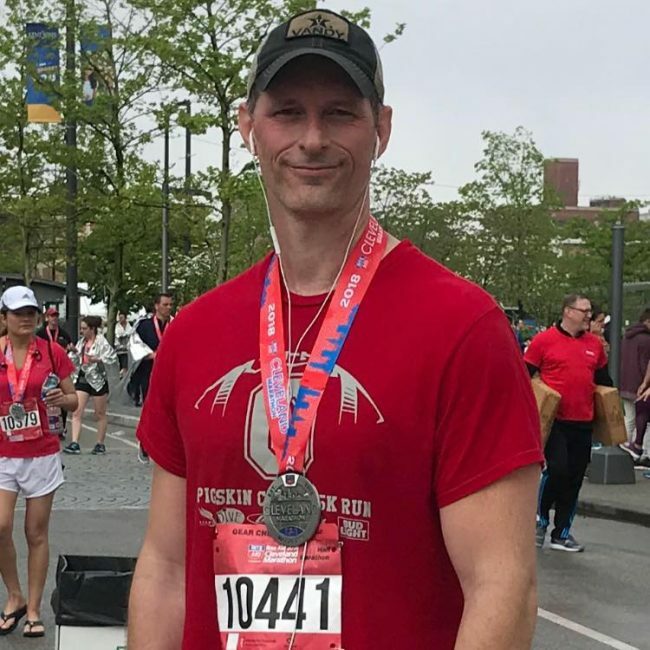 In laymen’s terms it means that as the intensity of your exercise goes up, you recruit more motor units, especially the type II fast twitch muscle fibers that generate the greatest amount of speed and force. As we have already said, this is a great exercise for athletes. That is why we named it the ultimate exercise for athletes. When it comes to most sports lower body strength is important and football is certainly no exception, there is no better exercise for lower body strength than the squat. Squats can help you explode off the line with power, drive an opponent back, and even help you jump higher. They are also effective at improving power output which is essential for football players and it has also been shown to be a good predictor of athletic performance. The most common and most popular type of squat is the back squat, you shouldn’t just do that squat alone though. The Bulgarian Split Squat is another form of the squat that you should be performing as well. 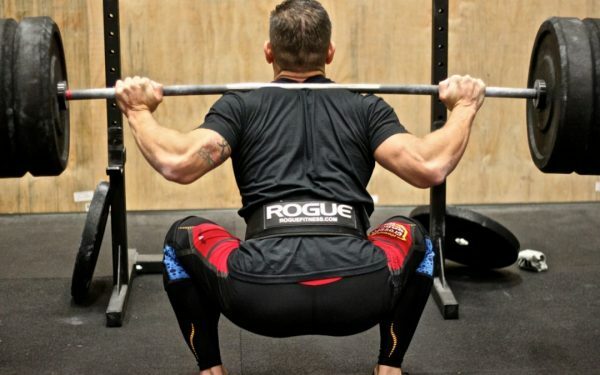 Split squats are a great way to work your legs without the heavy load on your spine, some people even say the Bulgarian split squat is superior to the back squat especially for athletes. The picture to the right shows Bulgarian Split Squats using only bodyweight but many people use dumbbells for added weight. 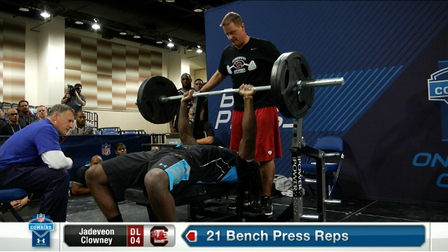 The bench press is a staple exercise when it comes to football, they don’t do it as part of the NFL Combine for the fun of it. This is an important exercise to increase your strength when it comes to pushing other players and stiff-arms and the like. The bench press is also still the king of upper body exercises so if you want upper body strength then this is your go-to exercise. 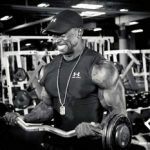 Here is a good article on how to boost your reps on the 225lb bench press to keep you ahead of the competition. Next, on our list of 5 exercises every football player should be doing, we have chin-ups. This exercise is a great way to measure how well the player can handle their bodyweight. Many high school age lineman won’t be able to do a single chin up but with a good program, they can do a few in just a year a training. You can also check out our article on how to improve your chin up to help you do more chin-ups or help you get your first chin-up. Last on our list we have the Romanian deadlift, another great exercise that all football players should be doing. These are great for strengthening the glutes, hamstrings and lower back. This is also a good exercise for athletes because it is an exercise that is done in the ready position. This exercise is a little better at hitting the glutes and the hamstring than the stiff-legged deadlift which can really hit the lower back especially in people with longer torsos. It is also a good supplemental exercise for the squat and deadlift which we have already mentioned. We couldn’t complete this article without mentioning sprints. Sprints build power and help you be more explosive off the line and faster in open field. As a bonus, they also burn fat like crazy while preserving muscle. Try mixing in sprints of various lengths in 2-3 days per week. 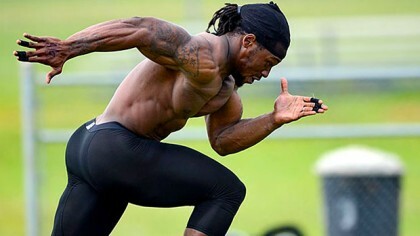 If you need some ideas for sprint workouts then check out our article on sprint workouts that blast fat to get you in shape and ready for football season. There you have the five best exercises for football players. Of course, you shouldn’t limit your workouts to just these exercises but they will all be beneficial for come game time. You can also check out our easy to follow football workout program for a more detailed workout that isn’t complicated and will also get results. Make sure you train hard, eat right and get plenty of rest and you will be as good as you can become football season.